Last night I penned this email to Cllr. John Sheahan, Cathaoirleach of Limerick County Council, in response to his outrageous call for an “Open Season” on hen harriers in the county. I wish to thank you for writing to me to express your views in relation to an article that appeared recently in the Limerick Leader newspaper. In the article in question I made reference to “OPEN SEASON” on the hen harrier if certain changes were not made. This remark infers that I advocate that this bird of prey be hunted similar to wild game that is hunted at certain times of the year. This inference was entirely unintended and I apologise for any upset my comment may have caused. I wish to clarify that my comment was meant in the context of my political battle with the Irish Government to seek a proper plan whereby the landowners and particularly, the farmers are not out of pocket by a designation that hamstrings them from earning their livelihood. This, unfortunately, is the case at present. I refer in my article to a situation whereby I believe all can co-exist. I ask would you seek to be compensated if your Government or local council made changes that devalued your property or adversely affected your ability to make a livelihood. The records show that the overwhelming majority of landowners do not receive any compensation. When the SPA designation was introduced it was done in tandem with a compensation package to accommodate landowners. However, the scheme was axed in the very early stages leaving farmers out of pocket and their livelihoods threatened. I hope I have provided you with some idea of the level of frustration experienced by landowners in the affected areas. 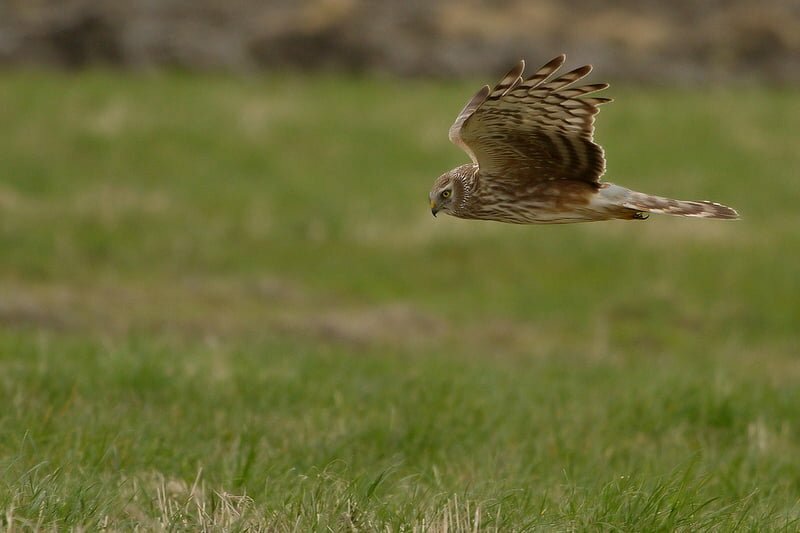 I would ask you, in the best interests of the Hen Harrier, to support me and lobby the Government and the powers that be in Europe for a properly managed and adequately funded plan of conservation so we, all as creatures of this world, can live in harmony. response goes nowhere near far enough in retracting his comments. his true beliefs are out in the open now. fine gael wont be getting my vote. It becomes difficult when comments can be back tracked and re-written. One..” Open Season”.. would lead to Ireland Hen Harrier population being totally wiped out,as these birds are becoming so rare. This year there were NO breeding Hen Harriers in England.Is Ireland next? Yes plans do need to be made, but comments such as these swing balances in uneducated areas of politics. The inference is now out there, deliberate or not, and only a public and unambiguous retraction in the Limerick Leader could even begin to undo the damage of such atrociously considered use of the phrase ‘open season’. It’s shocking to think that this man is in a position to represent views on the environment to the EU Commission on our behalf. This response just makes me angry all over again. It’s clear that his original sentiment remains. Harmony is not what he’s after when he very clearly said in his original statement that landowners should be allowed to do whatever the hell they want with ‘their’ land irrespective of anyone or anything let alone the greater good or the environment! The anthropocentric ignorant selfishness of this makes my blood boil.Yes farmers have a hard time of it, yes I think they deserve more support. But give them subsidies for supporting the environment and safeguarding ecosystem services and protecting our natural heritage. simply demanding money and threatening to destroy those things of they don’t get it is not just childish but tantamount to holding our wildlife for ransom. And I for one see no reason to negotiate with terrorists.